Merry Christmas from all of us at Elite! Happy Thanksgiving from all of us at Elite! Elite Contest: Enter to win an amazing dining experience for two. Kitchen Accessories: FAD or FIND? 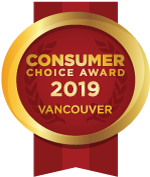 Consumer Choice Award Winners in 2017! Hello Fall and the “Season of Entertaining”! Quartz vs Granite? Which Countertop is Best for You? February Contest: WIN Dinner with a Personal Chef! Pecan Tassies: The perfect holiday treat! Looking for a kitchen design job? We’re hiring! The Ultimate Valentine’s Dinner contest is back! Celebrating 25 Years in business with a very special offer! Seal your Granite counter tops – guaranteed for 15 years! Pet washing station Elevate a tiled area and include a shower wand and you have the perfect place to wash your little four legged friend as soon as he/she comes in from a walk without straining your back! Brilliant! If only I had room for this idea-it would be in my own home faster than my dog! You could also incorporate a kennel or bed for fido to spend more time in here with you as you wash, dry, fold and repeat! If you have extra cupboard space, you can turn it into a comfortable dog bed. Additionally, by using stackable washer/dryer sets, you allow extra space for convenient dog showers. Let’s not forget the felines in your home. Why not incorporate the litter box into a pull out drawer! So easy to clean and accessible to your cat while “shut” and tucked out of sight! A pull-out litterbox in the laundry room ... notch allows cat easy entry, pullout makes cleaning staff happy. Saving money and keeping your clothes looking new two great reasons to hang up your clothes rather than throwing them in the dryer. The Ultimate Valentine’s Dinner Datenight! Like Us on Facebook and Win this Basket of Local Goodies!